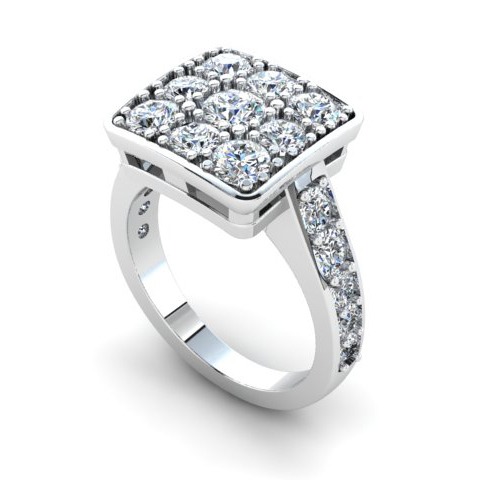 Remodelled engagement ring: This white gold ring was designed and made from 2 original rings. Our client wanted a new engagement ring incorporating the materials from her old jewellery. We utilised her original diamonds and set them into a square pattern, incorporating diamonds into the shoulders.